One of New Zeland’s best bands, The Bats, have just had three of their albums reissued on vinyl by their native Flying Nun label, The Law of Things, Compiletely Bats and Daddy’s Highway, plus a three-CD set with all three albums (also available to download). To celebrate, we’re counting off 10 of our favorite albums from the island country, in no particular order. Best known in the States for crossover power-pop hits like “I Got You” (off the True Colours album), Split Enz’s first album is full of epic, prog-pop weirdness, featuring the songwriting talents of brothers Neil and Tim Finn. 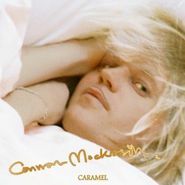 Connan Mockasin’s Caramel was one of the more intriguing records of 2013. As syrupy and sumptuous as its name would suggest, the native New Zealander’s second album is a trip, yawning awake with spacey love songs, delving into psychedelic soul singles (the irresistible “I’m the Man, Who Will Find You”) and moving into a five-part, mind-bending suite called “It’s Your Body.” Even among underground releases, it’s a strange bird, and an album that stays with you. I sat down with Mockasin to ask about the record as he prepared to play in San Francisco. He’ll be at Amoeba Hollywood this Friday Jan. 17, performing at 6 p.m.
There’s a really interesting quality to the album that the whole thing feels kind of warped and disorienting, but you get used to it as the album goes on. Was that part of the idea, to create a sort of all-encompassing sound world? 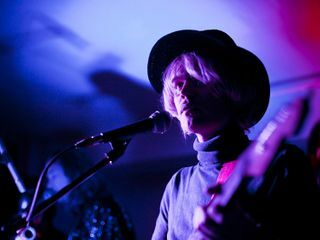 Mockasin: I didn’t really think about it too much. I just wanted to make what a record that was called Caramel would sound like. That’s just what I had in my head. What made you choose the word “caramel” as inspiration?